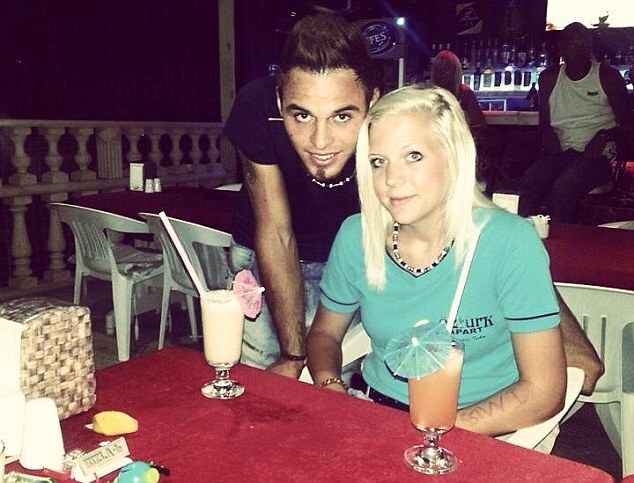 When 16-year-old schoolgirl Jaydene Roberts first developed a crush on the handsome barman at the hotel in Turkey where she stayed with her parents and sister last August, the family dismissed the fling as a holiday romance. But just a few months on, Jaydene is about to return to Turkey to live with 21-year-old Emre Karaca at his family’s home as a prelude to marrying him with her parents’ full blessing. The whirlwind romance between the pair has caused a deep rift, however – her disapproving paternal grandparents have cut off all contact with Jaydene and her family. Just two months after the holiday, during which parents Michael and Michelle Roberts, from Swindon, were happy to allow their daughter to sleep with a man five years her senior within days of meeting him, Emre had proposed to Jaydene. She speaks hardly any Turkish and her new fiancé speaks only broken English. Despite needing to use Google Translate to maintain contact via Facebook and Skype, the pair plan to wed in August. Jaydene’s grandparents’ misgivings will be shared by many who may wonder if 16 is just too tender an age to make such a life-changing decision – particularly after a relationship largely conducted, as it has been, online with verbal communication at a basic level. Jaydene’s parents hope that her forthcoming betrothal will help boost her confidence. A year ago they withdrew her from school to home-educate her a few months before her GCSEs because of bullying. Then, weeks after the romance with Emre began, she quit a beauty course at college, again due to bullies. Meanwhile, this week Jaydene, who is not religious, leaves for Turkey to spend seven weeks with her fiancé and his family – who are practising Muslims – in the resort of Marmaris in southern Turkey. The couple met last August during the Roberts’s annual two-week summer holiday at Marmaris. Emre was working as a barman in the hotel where Jaydene and her family were staying. Jaydene said: ‘The first time I saw him was when we got off the bus and he helped us with our luggage. ‘As the days went on he was talking to my dad and then he asked me to add him as a friend on Facebook. He told me that he liked a girl in the hotel, but I didn’t know it was me. ‘I complimented him and told him he was really nice. I got to know him as a friend. At the end of the first week he asked me if I wanted to go out with him – just for a walk down to the local shops. He told me he liked me. I didn’t know what to say. I told him I liked him too. ‘After that we were pretty much head over heels and saw each other as much as we could for the last week of the holiday. She claims that because of Emre’s job in a predominantly English-speaking hotel, his English is ‘pretty good’. But that was not apparent in a short conversation The Mail on Sunday attempted with him by telephone yesterday. Jaydene’s parents say they witnessed an ‘instant bond’ between the two young lovers, and even more so when Jaydene and her mother, 39, and sister Allanah, 12, returned for a second trip in October. During that break they met members of Emre’s extended family of 21, which includes a cousin who is also married to an English girl. It was on this trip that Emre gave the teenager a ring and asked her to marry him. Mrs Roberts admitted she and her husband had doubts, but she felt convinced she was witnessing ‘true love blossoming’. She recalled: ‘When Emre proposed I was a bit shocked – although there was a part of me which could see it coming because of how much in love they both were. ‘I had this overwhelming feeling that this was my little girl, but she wasn’t my little girl any more. ‘When it came to saying their goodbyes they were both in pieces. I literally had to separate them to get Jaydene back on the bus taking us to the airport. ‘Then, the minute we landed back in the UK, they were texting each other. As soon as we walked through the door, they were Skyping. After that I felt that I owed it to my daughter to help her follow her heart. ‘I understand that people are going to be outraged when they hear what we are allowing Jaydene to do when she is only 16, but we’re letting her because you only live once. You only get one shot at life. Her dad and I will always be there for her in an instant if anything did go wrong. Mr Roberts, 41, a self-employed builder, added: ‘My mum and dad don’t want anything to do with it. A lot of nasty things have been said. It’s all about Emre being Turkish. I think they think Jaydene is going to get murdered, killed or kidnapped. ‘Just before Christmas when Emre was on Skype, he asked to say hello to my parents but my mum just turned round to the camera and said, “I don’t want anything to do with him”. ‘We haven’t spoken to my parents now for the past few months. ‘It has divided the family – I don’t speak to my mum and dad and they don’t speak to Jaydene. The Roberts hope the rift will be resolved by the time the young couple make their vows. 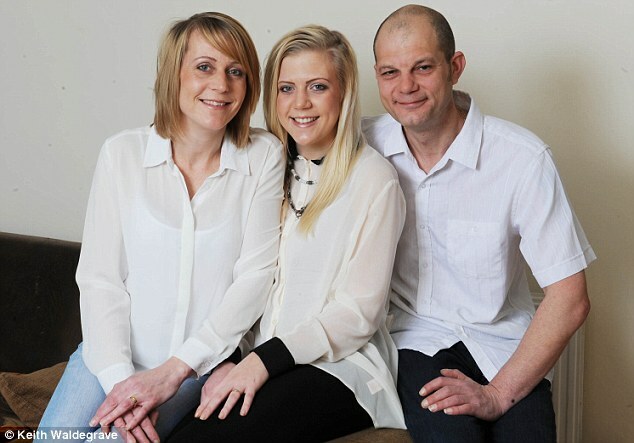 Michelle said: ‘We believe the family should support Jaydene even if they think it is wrong. Three months after the wedding, to be held in Turkey in August, Emre will begin a year-long compulsory National Service in the Turkish army, which could take him to the dangerous border with Syria. Mr Roberts says this was one of the reasons for the couple’s haste in getting married. The couple then hope to have a traditional ceremony back in the UK. After Emre has completed his stint in the army, the couple plan to live in this country for a couple of years before moving back to Turkey. Mr and Mrs Roberts, who themselves met when they were teenagers, are both adamant that their enthusiasm for the match is not a ploy to quell the fervour of their daughter and her Turkish boyfriend’s feelings for each other. They said the reason they have sanctioned Jaydene’s extended stay with Emre is so they can spend as much time together as possible before the wedding in August. Mrs Roberts said she knew the pair were already sleeping together during the first holiday last August, and that Emre has had sexual partners in the past. ‘Jaydene for 16 is very, very mature and I know that she is sexually active, but I don’t think it’s just about the sexual chemistry between the two. I think it is more love – and a real friendship. ‘Jaydene is on the pill. She is very wise for a 16-year-old. The relationship had already become physical the first time we were there in August. I’m not worried about her getting pregnant. She has her head screwed on and she has been taking the pill since she was 14 – although that wasn’t because she was sexually active, but because of her periods. ‘Jaydene has had sexual relationships before. And she knew that with Emre’s job – and the fact he is a good-looking bloke – that he has had sexual partners before. ‘They have talked about having a family. It’s been in conversation, but that is as far as it has gone. ‘Nothing is going to happen immediately. She wants to wait a while before having children. ‘I really do hope it works out for them both, I really do, because Jaydene deserves happiness. ‘I think she is in a good place now [after the years of bullying] and Jaydene is happy. And she is happy with herself. She is focused whereas before she wasn’t. Last night, Emre told The Mail on Sunday through an interpreter that his feelings for Jaydene was genuine: ‘I love Jaydene. I have mainly dated Turkish girls in the past and found them to be very bossy and controlling. ‘My parents are just as delighted as Jaydene’s – they often wave and use sign language to each other on Skype. We’re all very happy. ‘I don’t expect to her to convert to Islam or change the way she dresses or what she eats, drinks or does. As long as she loves me that’s enough – we’ll work the rest out together.’ Jaydene added: ‘If my mum and dad hadn’t been so supportive I would have done it anyway. ‘I’m going to feel lost when Emre is in the army.